What’s the only difference between a $100 bill and a $1 bill? It’s not the paper it’s printed on. Do you have it? It’s just the words and picture written on the bill. The words and the words alone make one bill worth 100x more than the other. The words we use really really matter. Once I decided to really study “copywriting” (selling better w/ your words) and learned these 14 elements I include on every website I launch now, results started to jump in a big way. Just by changing the words. Download and print out this checklist as a reference for your marketing. 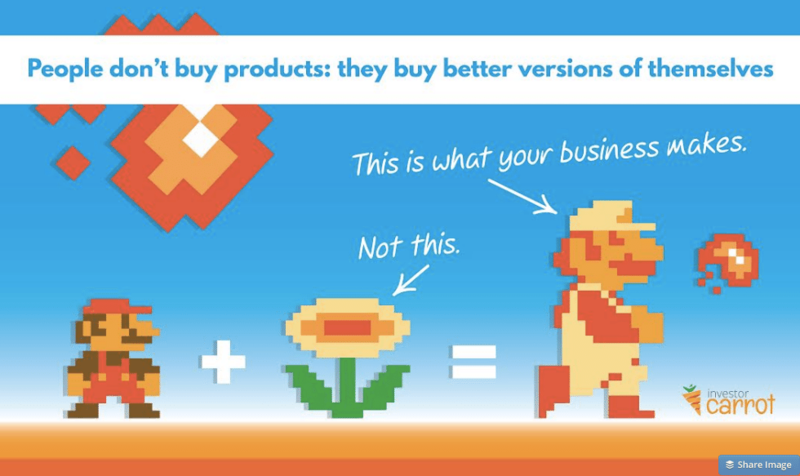 Print out this as a poster and hang it on your wall as a reminder in your marketing to always sell what the prospect ACTUALLY WANTS… vs. what your product is.